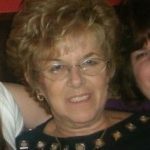 Caren A. Ford, 68, a resident of McHenry, passed away Tuesday, October 24, 2017. She was born February 3, 1949 in Waukegan, IL to Erhardt and Alice (nee: Biddick) William. Caren was a Corvette fanatic. Caren is survived by her children Patricia (Arthur) Schultz of Rockford, Sheila Vikre of McHenry, and Debra Ford of McHenry, her beloved grandchildren Richard, Aaron, Sami, C.J., Anthony, and Stephen, her great-grandchildren Jaxson and Jennifer, her brother Allen (Kathy) Mathiesen, and her friends Margaret and George Dukas, Tim and Patrice Evans, John and Frieda Hanson, and Gary and Jan Miller. She was preceded in death by her husband Richard Ford, her brother Bill Mathiessen, her sister Brenda Robinson, and her parents. A visitation is scheduled for Monday, October 30, 2017 from 4:00pm until 8:00pm at Strang Funeral Chapel & Crematorium 410 E. Belvidere Rd. Grayslake, IL 60030. The funeral service is scheduled for Tuesday, October 31, 2017 at 10:00am at the funeral chapel. Interment will follow the services at Highland Memorial Park in Libertyville, IL. For more information please contact (847)223-8122 or log onto www.strangfuneral.org. 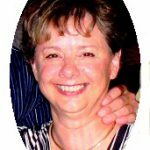 Sandra Jean Franzen, 60, a resident of Lake Villa, IL, passed away Sunday October 22, 2017 at Vista East Medical Center in Waukegan, IL. She was born August 7, 1957 in Chicago, IL to Lawrence and Irene Chirchirillo. Sandra is survived by her husband of 22 years, Terry Franzen, whom she wed on September 16, 1995 in Grayslake, IL, her daughters Rachael Franzen and Tarah Franzen, her step-children Nicholas Franzen and Aaron Franzen, her grandchildren Draegan Franzen, Lillian Franzen, and Sullivan Franzen, and her siblings Wayne (Jane) Chirchirillo, Jeffrie Chirchirillo, and Lynn (Bruce) Buschick. She was preceded in death by her parents Lawrence and Irene Chirchirillo and her best friend Patricia Johnson. A visitation and memorial service is scheduled for Saturday, November 11, 2017 from 12:00pm until 3:00pm with the memorial service commencing at 3:00pm at Strang Funeral Chapel & Crematorium 410 E. Belvidere Rd. Grayslake, IL 60030. Interment will be held privately. For more information on services, call (847) 223-8122 or log onto www.strangfuneral.org. Scott P. VandenBroek, 59, of Grayslake, died on October 15, 2017 with his family by his side. He is survived by his wife Donna, daughter Alexandra of Tacoma, WA, brother Mark and family Aurelie, Max, Lala, and Victor of Sarasota, FL, nephew James Faircloth of Erwin, NC, cousins Lori, Troy, Braxton, Logan, and Tyler of Erwin, NC, several aunts and uncles from Donna’s family, and many family members in Holland. Preceded in death by his parents Johanna and Antonius VandenBroek of Cleveland, OH. Scott was a retired Major serving 23 years in the United States Army Aviation. Awards include: Meritorious Service Medal (5th award), Air Medal, Army Commendation Medal (2nd award), Army Achievement Medal (2nd award), Korea Defense Service Medal, Army Superior Unit Award, National Defense Service Medal (2nd award), Global War on Terrorism Service Medal, Army Service Ribbon, Overseas Service Ribbon (2nd award), Master Army Aviator Badge, Master Aviation Badge, Parachutist Badge and Air Assault Badge. 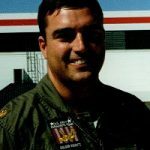 One of Scott’s greatest joys was flying, he had great memories of all of his Army experiences and his most memorable was with the United States Army Parachute Team serving as the Team 6 leader for the aviation section. After retiring from the Army Scott worked as a pilot with American Airlines; also, while on medical leave he worked part-time at ACE Hardware in Libertyville. Scott was a Jeep enthusiast, Gold Wing enthusiast, and enjoyed many travels he and Donna have done over the years. Scott was what a husband and father should be to the women in his life, his greatest joy were his girls: Donna, Alex, and Mallory the family dog. A visitation is scheduled for Friday, October 20, 2017 from 4:00pm until 8:00pm at Strang Funeral Chapel & Crematorium 410 E. Belvidere Rd. Grayslake, IL 60030. A funeral service will be held on Saturday, October 21, 2017 at 11:00am at the funeral chapel. Interment will be held privately. In lieu of flowers, please make donations to Journey Care Hospice or American Cancer Society. Scott’s family will be accepting family and friends at their home in Grayslake on Saturday after the funeral service to share food, love and laughter. For more information on services, call (847) 223-8122 or log onto www.strangfuneral.org. Karl Sherman Kane, 57, a resident of Grayslake, IL passed away suddenly Monday, October 16, 2017 at his home. He was born December 23, 1959 in Long Beach, CA to Jack and Denise (nee: Jackson) Kane. Karl worked at Evanston Subaru. He loved old movies, the TV show Star Trek, and loved to watch CNN and Fox News, but more than anything he loved his family. Karl is survived by his wife of 26 years, Joanie, whom he wed on September 16, 1991, his son Kyle Kane of Grayslake, his father Jack (Ellen) Kane of Vancouver, WA, his brother Kent (Eliza Kiara) Kane of Hawaii, and his dog Kobi and his furry friends. He will be missed by the entire SOWA family, friends, and coworkers. He was preceded in death by his mother, Denise, his brother Kraig, and his son Kevin. A visitation and memorial service is scheduled for Friday, October 20, 2017 from 10:30am until 11:30am, with the memorial service commencing at 11:30am at Strang Funeral Chapel & Crematorium 410 E. Belvidere Rd. Grayslake, IL 60030. For more information on services, call (847) 223-8122 or log onto www.strangfuneral.org. Jacqueline “Jackie” May Reckling, 88, a resident of Grayslake, IL passed away October 4, 2017 in Grayslake, IL. She was born November 29, 1928 in Wilmette, IL. Jackie was retired from work as an executive secretary. Jackie is survived by her son Michael R. (the late Jaime L.) Reckling Sr., her step-daughter Margaret “Peggy” (Mike) Wargo, her grandchildren Michael R. Reckling Jr., Kyle W. Reckling, Haley M. Reckling, Jennifer Dollen, Christopher D. Reckling, Eric S. Reckling, Randi Wargo, and her great-grandchildren Zoey Dollen, Emily Reckling, and Daniel Reckling. She was preceded in death by her husband Ralph T. Reckling whom she wed on April 12, 1958, her son James T. Reckling, and her step-son Daniel S. Reckling. A visitation and memorial service is scheduled for Saturday, November 4, 2017 from 12:00pm until 2:00pm, with the memorial service commencing at 2:00pm at Strang Funeral Chapel & Crematorium 410 E. Belvidere Rd. Grayslake, IL 60030. Interment will be held privately at Avon Centre Cemetery in Grayslake, IL. Memorials may be made to the American Lung Association 55 W. Wacker Dr. ste. 1150 Chicago, IL 60601 For more information on services, call (847) 223-8122 or log onto www.strangfuneral.org. 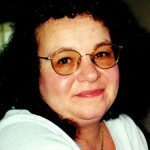 Marie-Laure “Mimi” Koob, 68, a resident of Ingleside, IL, passed away unexpectedly on Tuesday, October 10, 2017, at her home. She was born June 3, 1949 in Fontainebleau, France to John and Louise Dandino. Mimi worked for the Sterling Company for many years and most recently worked for Dr. William Dam in Ingleside, IL. Mimi leaves to cherish her memory her husband of 30 years, Patrick, her sons Kim (Kris) Aronson and Daniel Aronson, the father of her children Wayne Aronson, her beloved mother Louise Dandino, her brother Philippe (Natalie) Dandino, their children Christopher (Moira) Dandino, Jessica (Andrew) Garrison, and Gregory Dandino, her aunt Jacqueline Pomeroy, her cousin Patrick Masson, her best friend Shahnaz Hansen, her fur babies Buttercup and Eddie, and many loving relatives and friends. 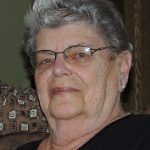 Mimi was a longtime resident of Ingleside, who loved to read, quilt, play games and have family dinners. Of all her accomplishments, Mimi’s greatest achievements have been in the lives of her boys. They were the light of her life, her heart and joy. Her creative mind, kind heart, and animated way of French speaking allowed her to make even a simple story sparkle. Her generous heart filled her home with love, fun, family, and friends. She leaves her children and family with the knowledge that they were truly loved. Her signature gift of love and joy, laughter and joking around will never be forgotten. She was preceded in death by her father. A visitation and funeral service are scheduled for Saturday, October 14, 2017 from 10 am until 11 am with the funeral service commencing at 11 am at Strang Funeral Chapel & Crematorium 410 E. Belvidere Rd. Grayslake, IL 60030. Interment will follow at East Fox Lake Cemetery in Lake Villa, IL. Memorials may be made to the Wounded Warrior Project www.woundedwarriorproject .org. For more information please contact (847)223-8122 or log onto www.strangfuneral.org. Mr. Peterson of Grayslake, Illinois passed away Sunday, October 1, 2017 at the age of 86. The son of the late Charles and Alice (Kotajarvi) Peterson was born August 22, 1931 in Calumet Township, Houghton County, Michigan. He was a member of United Protestant Church of Grayslake. Mr. Peterson was retired from the Frank G Hough Company (later known as International Harvester and Dresser) in Libertyville. Mr. Peterson was an active member of the church community and enjoyed traveling and camping with his family. He was known for his abilities to fix things around the house and he enjoyed working on cars, engines. He was preceded in death by his wife Janice Peterson (Connolly) whom he married in 1969. He is survived by his children; Kathleen Baillargeon; Carl Peterson and Laura Choate (spouse); two grandchildren; Amber Baillargeon and Jessica Baillargeon, one brother and one sister; Alicemae Meyer and Charles Peterson and several nieces and nephews. In addition to his parents he was also preceded in death by two brothers; Arthur Peterson and Raymond Peterson. The family will be present on Saturday, October 7, 2017 from 10:00 to 11:00 a.m. at the United Protestant Church of Grayslake located at 54 S Whitney St. to receive family and friends followed by a Memorial Service at 11:00 a.m. At Mr. Peterson’s request cremation has taken place.